Professional Metal Laser Cutting Machine , Laser Cutter Machine.We provide you 500W to 3000W Fiber Laser Cutting Machine / Laser Cutter Machine FOB/CIF/C&F/EXW PRICE.CNC Fiber Laser Cutting Machine For metal cutting. Fiber Laser cutting machine is widely used in kitchen appliance, electric control box, high-resolute device, mechanical equipment, electrical equipment, lighting, posters, auto parts, display equipment, hardware and metal processing. 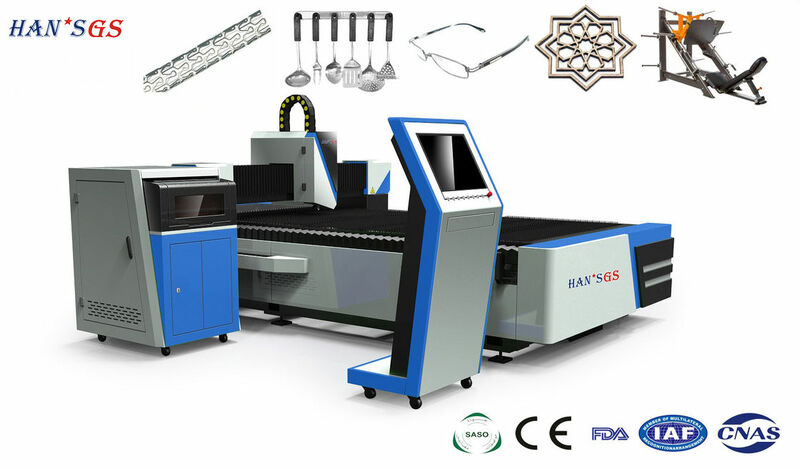 GS-LFD3015 laser cutting machine is Fiber Laser cutting machine.It's the best-selling products of our company,The technology of the machine is mature and stable, the design of smooth and generous, high cost performance. Cutting knife is narrow and parallel on both sides, also perpendicular to surface, dimensional accuracy of cutting pieces can be up to + / - 0.05 mm. 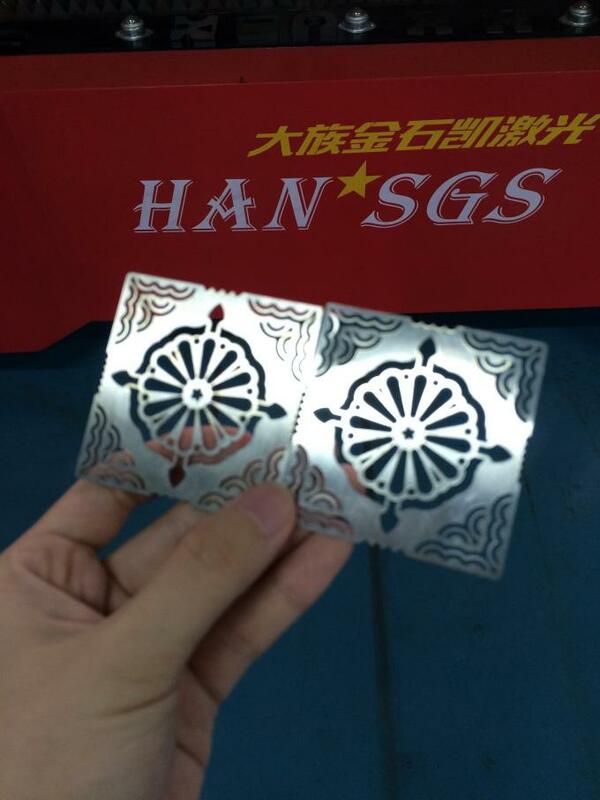 Cutting surface is smooth and beautiful, the surface roughness is only a few dozen microns, laser cutting can be used as the final working procedure, parts can be even used directly without mechanical processing. Heat affected zone is very small, material performance is hardly affected near the kerf width , and the workpiece deformation is small. Also, kerf geometry is good , slitting rectangular cross-section shapes appear to be regular. 1.We adopts the world’s highest level IPG fiber laser source, stable performance, assured safety of the whole product quality. 2.Raytools Laser Cutting Head non contact capacitor auto tracking system , Z-axis floats stability, auto adjusts optimal focal distance. Two different focus lenses, adapt to cutting various thickness materials, assure the optimal cutting effect.The laser cutting head can bear 2.0Mpa pressure, high pressure gas path, improve cutting ability for the materials difficult to cut such as stainless steel. 3.High Strength Whole Welding Cutting Bed.Our gantry-type flying optical path structure working table has been annealed to relieve internal stress strictly, thus significantly improves the rigidity and stability of the CNC laser cutter. The working table have been handled with high temperature annealing and large CNC gantry milling machine precision processing, can maintain long-term stability and shock resistance, and ensure the precision of the CNC laser cutter.One piece casting aerometal girder with light weight has good dynamic performance. Machining after tempering ensures the integrity, rigidity and stability of the girder. Pneumatic cylinder, convenient to loading materials; pneumatic clamp, assure the located accuracy. 5. Oblique Gear,Using Taiwan YYC double driver gear and rack.High precision pinion and rack to ensure the mechanical accuracy over the course of three meters in the scope of work. 6. Precision and Wear Resistance Screw Drive System.Smooth rolling, small friction coefficient, no empty rollingeven in micro feeding, realize nanometer located accuracy.The frictional resistance of rolling is small, and the structure is simple, low abrasion of friction contact surface, thus realize the long time walking accuracy.Optimal design of geometric mechanics structure, steel balls of 45° array, could not only bear the power of warp, anti-warp and cross directions at the same time, but also assure the walking accuracy.Adopts special metals, wear resistant and high rigidity, integrated the advantages of other brand guide, more exquisite design, more flexible interchangeability. 7. Japanese Fuji Servo Motor of strong rigidity, excellent control ability, accurate, sensitive response. 8.CNC Software.PC control, special cutting software for CNC laser cutting machine, high speed DSP movement control chip, ensure motion accuracy. We have added many new function in the software. 9. External Cooling Water Circulation System with deionizater, filter, constant temperature control to avoid frequent change of the cooling water. 10. High precision single phase full automatic AC stabilizer consists of contact auto transfer,service motor, automatic control circuit.When the power voltage is not stable or the load has changed, the control circuit will send signal to drive the service motor to adjust the position of the carbon brush of the contact auto transfer in order to get the rated power voltage and and keep it stable. 11. Excellent electronic control, comprehensive maintenance indicator. 12. With the Wireless Controller which is especially designed for the cutting machine, the remote control of cutting and processing for carbon board and stainless steel board is feasible to improve the work efficiency. 13. Japanese SMC Gas Pressure Relief Valve. It is used to cut Metal,such as stainless steel, carbon steel, alloy steel, silicon steel, spring steel,galvanize plate, pickled plate, copper plate, aluminum plate, etc.We are honored to offer you samples. New clients are expected to pay for the courier cost, the samples are free for you, this charge will be deducted from the payment for formal order. 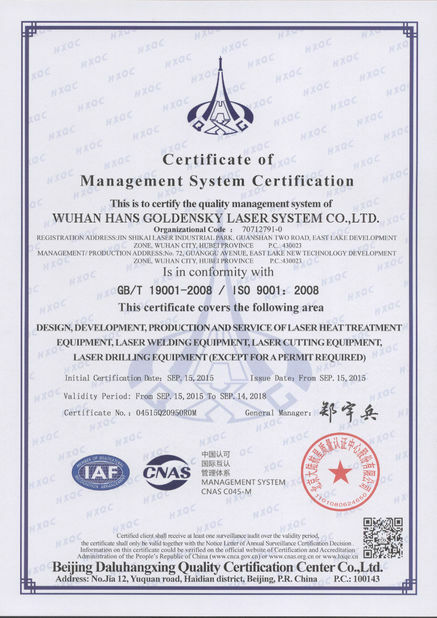 WUHAN HANS GOLDENSKY LASER SYSTEM CO., LTD. is a subsidiary of Han's Laser, located in East Lake High-tech Development Zone, "China Optical Valley",Wuhan. 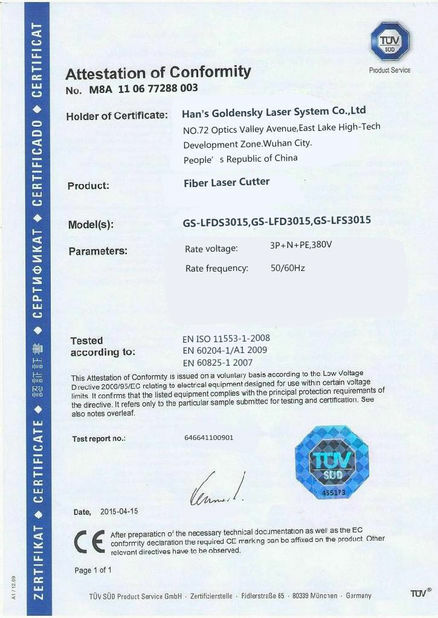 It's subsidiary company of HAN'S Laser Technology Industry Group Co., Ltd, (stock code: 002008). We are high-tech enterprise specialized in R&D, manufacture and sales for complete equipment of high-power laser source, laser cutting, laser welding, laser fusion covering, laser heat-processing and high-speed laser punching machine. We also provide automatic processing solving plans. Company has been successively undertaken the national development and reform commission (NDRC) national high-tech industrialization demonstration projects, the top ten key projects in Hubei province, Wuhan city top ten industrial projects of science and technology, and other government science and technology projects, including three products listed as a key project of national torch plan by the national ministry of science and technology. We successively obtains the national innovation fund, the electronic information industry development fund and a number of special fund support of Hubei province and Wuhan city, to be listed as the key innovation enterprise in east lake development zone, the key support leading enterprise in "large-scale laser equipment system integration and the new type laser manufacturing field" in Wuhan's 11th five-year plan. Most of the products of our company has fully independent intellectual property rights, widely used in steel metallurgy, petroleum, tobacco, automobile, machinery, aerospace, chemical, home appliances and other manufacturing industries. In the future, the company will continue to be based on innovation of new and high technology, using its own technology advantages to contribute to the industrialization development of laser processing complete equipment. We provide Wooden Case by Container and Engineers Overseas Installation Training Services.24 hours services online. 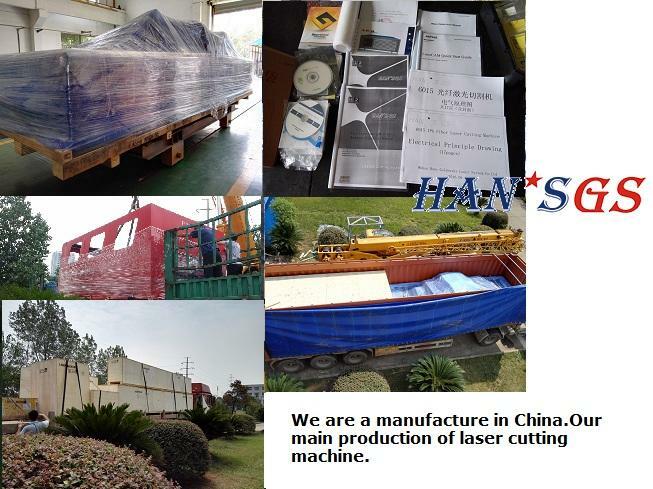 We have 20 years of experience in laser equipment production,The main products are laser cutter machine, laser welding equipment, laser perforating equipment, laser cladding equipment. Welcome come to our factory.